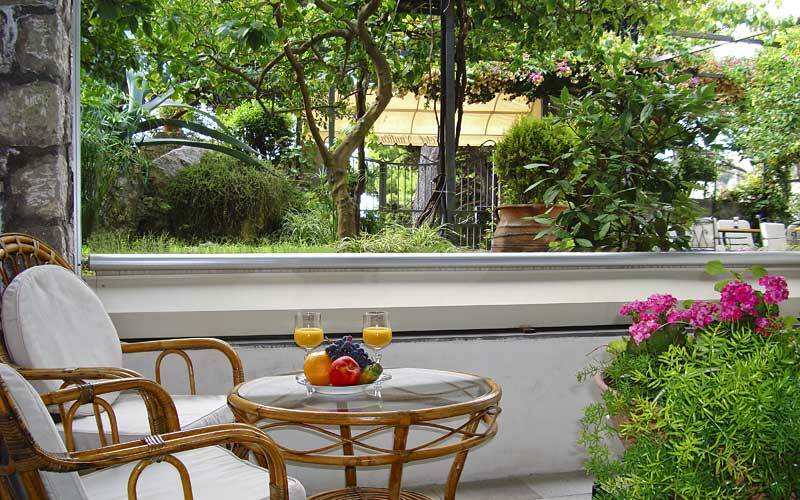 A welcome surprise for budget-conscious travelers who'd love to visit Capri but fear having to pay through the nose for the pleasure, Hotel Nautilus is a peaceful and incredibly affordable 3 star property, within steps of the sea and beach of Marina Piccola. 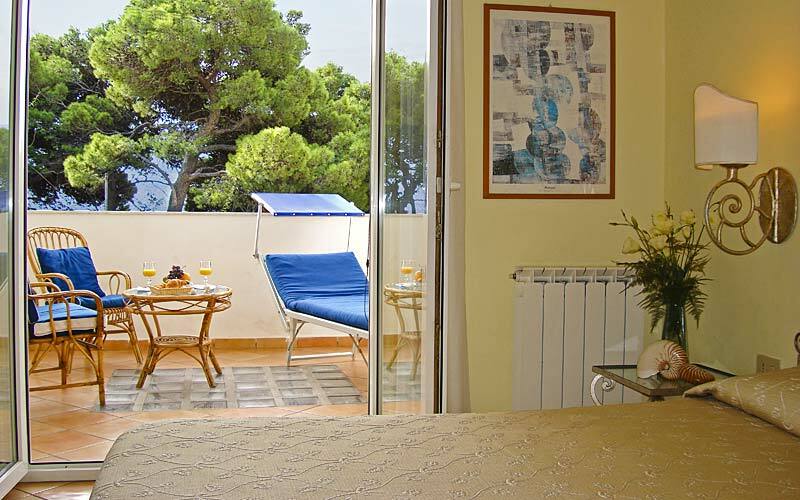 The hotel's bright and cheerful bedrooms are simply furnished, in typical island style and equipped with every modern convenience, from air conditioning to SKY satellite television. 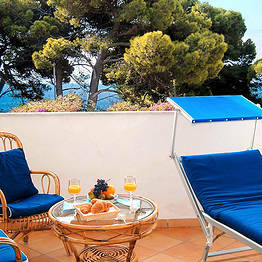 A number of rooms have their own sea view terrace. 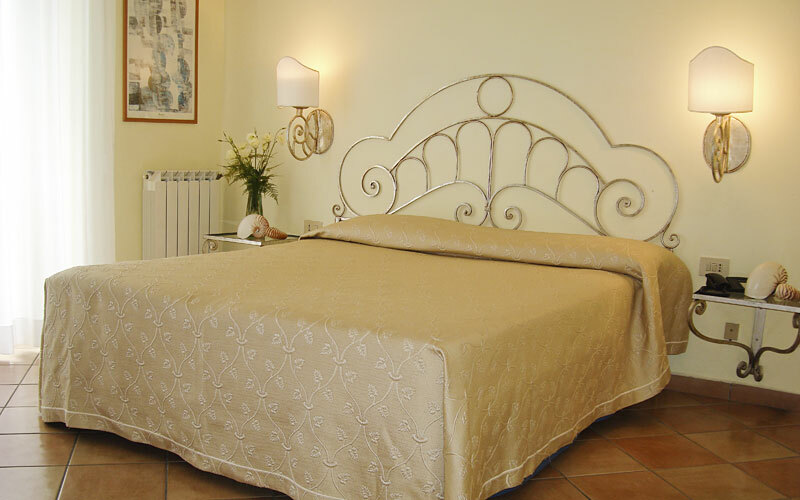 If you plan to stay for a while, book one of the fabulously spacious "Superior" rooms. 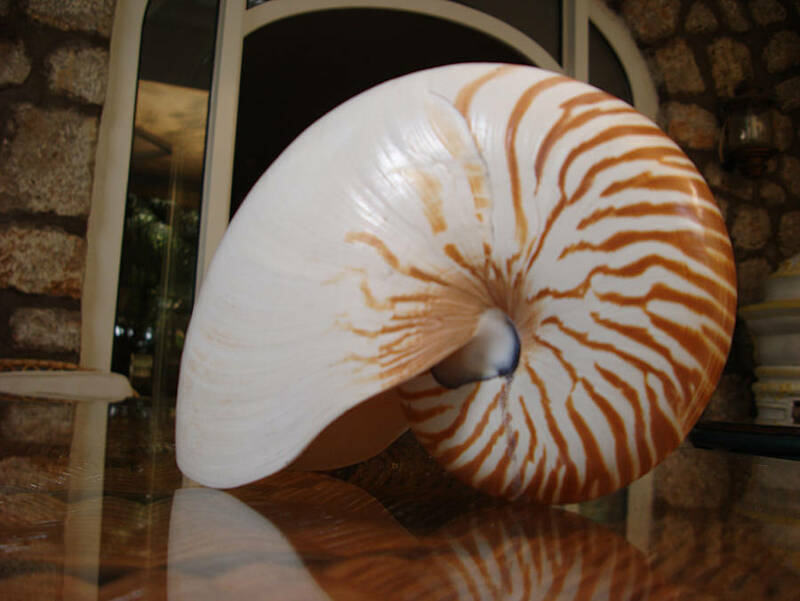 Just a few meters lie between Hotel Nautilus and Marina Piccola, the pretty little bay famous for its glamorous bathing resorts and award-winning fish restaurants. 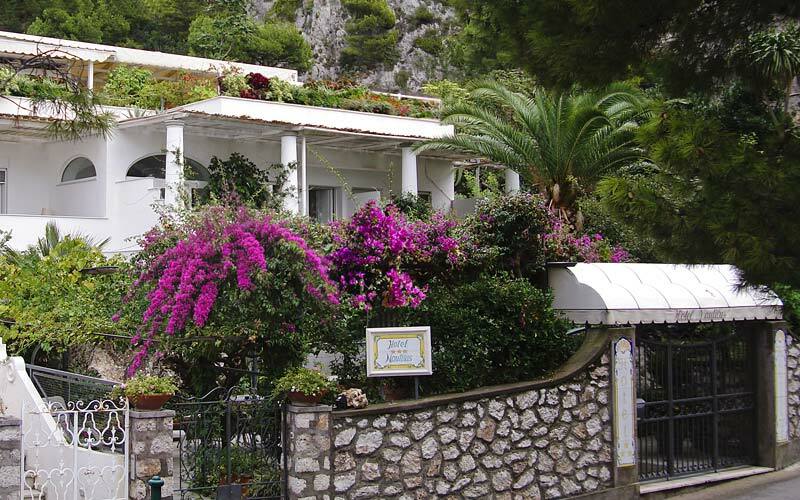 Rising up out of the water, almost directly opposite the beach, the legendary Faraglioni of Capri are only a short boat ride or, somewhat longer, swim away! 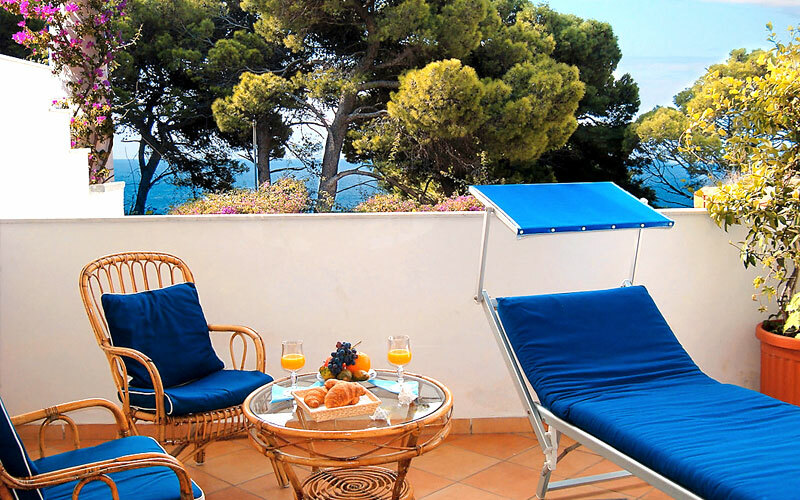 The ideal choice for a fun-in-the-sun seaside holiday, Hotel Nautilus is a great option for those keen to explore the historic center of Capri too. 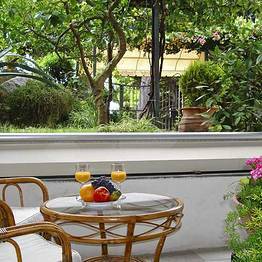 The Piazzetta, the tiny square around which the island's glitzy social whirl gravitates, is only a short bus or taxi ride away. 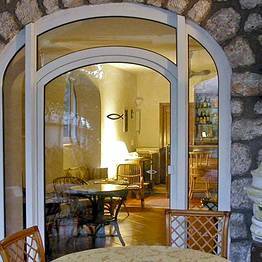 Guests can also reach the center on foot, walking up the panoramic Via Krupp which, from Marina Piccola, zigzags its way to the Gardens of Augustus. 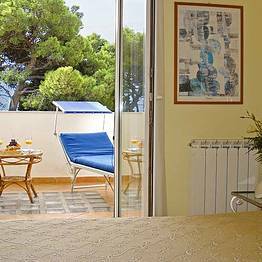 "The hotel is located directly opposite a bus stop and just a few steps away from the beach of Marina Piccola. 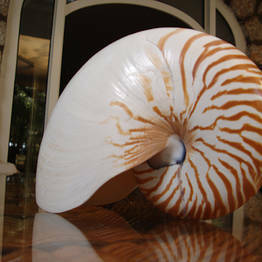 A great choice for a seaside holiday. " 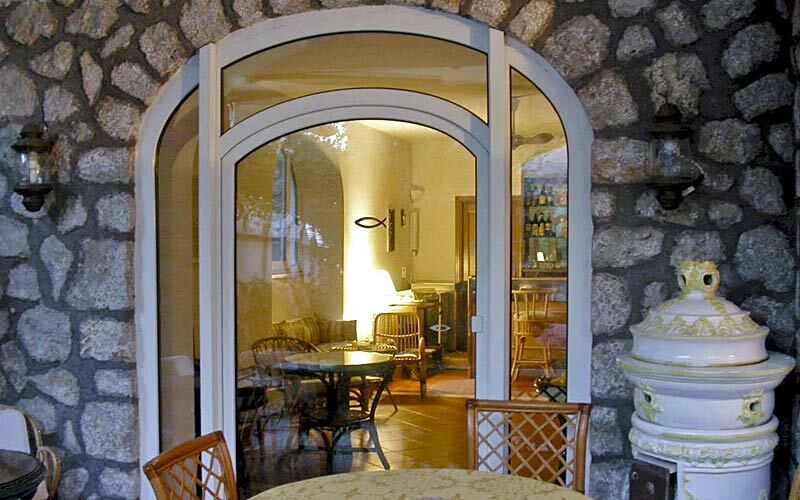 "A charming and welcoming little hotel. Staff were courteous and attentive. " 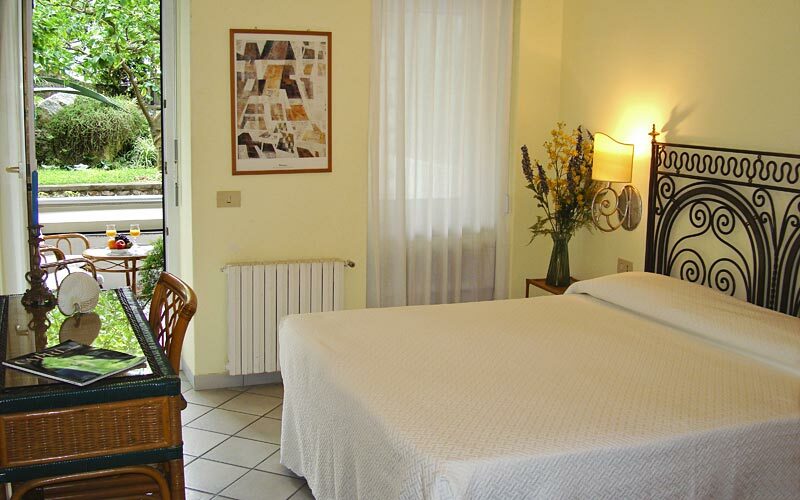 "Rooms are small but have everything you might need, including air conditioning. The prices of items in the mini bar were reasonable." 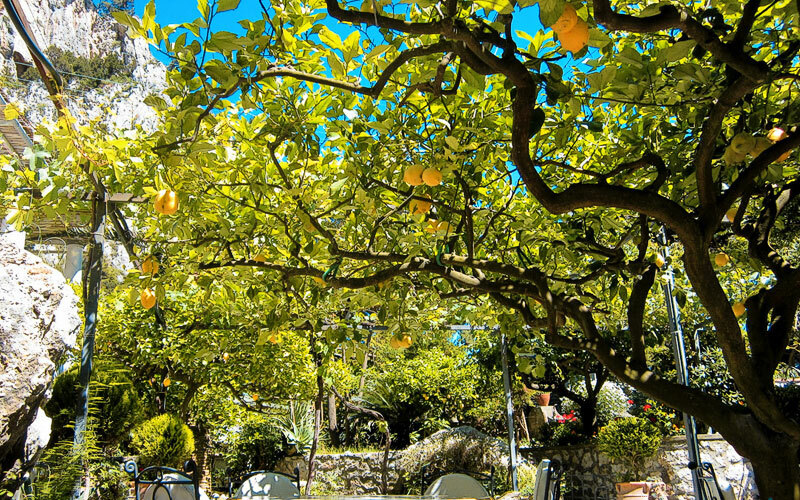 "We loved the delicious breakfast of freshly squeezed orange juice, fruit salad and piping-hot croissants served in the garden. " 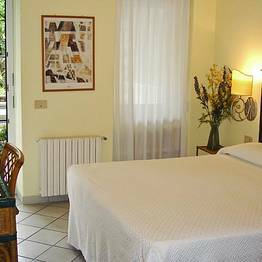 "The rooms were clean but a bit tired.They should spruce up the interior decoration and improve the bathroom accessories. " Highly recommend- loved our stay! 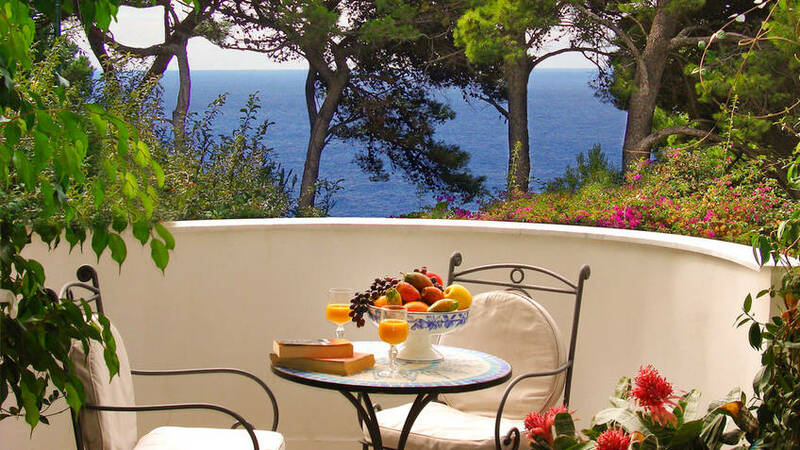 Set in gardens brimming with island flowers, Capri's Hotel Nautilus is located within steps of the beach of Marina Piccola, the enchanting little bay on the southern shores of the island. 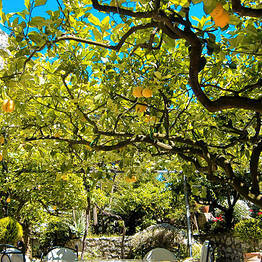 The center of Capri, and the buzzing Piazzetta, are just a short bus or taxi ride away. 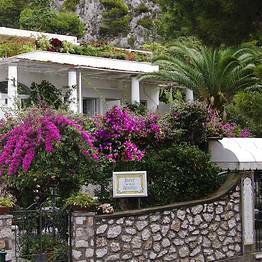 It's well worth making the return journey on foot; walking from the Gardens of Augustus down the spectacular Via Krupp, which terminates by the beach of Marina Piccola and, thus, only a few meters away from the hotel.